With the Body-Solid GDCC200 Functional Trainer, life imitates state-of-the-art in a new space-saving design! Define the motions that are right for you and your individual workout goals with the Body-Solid GDCC200 Functional Trainer. This dual independent weight stack system provides dedicated resistance with true isolateral movements. Core stability training can lead to improved balance, coordination and stability. By efficiently working your body's stabilizer muscles though a limitless number of exercises, the Body-Solid GDCC200 Functional Trainer offers strength-building results to users of all sizes. 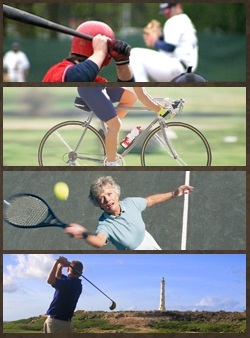 Unrestricted multiple planes of motion approximate the muscle activity required for many of the activities you do in everyday life. The Body-Solid GDCC200 Functional Trainer features ergonomically designed adjustments and interchangeable cable handles engineered to put hundreds of strength-building exercises within your grasp. With a space-saving footprint, dual independent weight stacks, user-friendly ergonomics and adjustability and precision-fitted components, the Body-Solid GDCC200 Functional Trainer isolates an unbeatable value in today's advanced fitness market. The Body-Solid GDCC200 Functional Trainer provides the ultimate fitness experience that will take you to a new level of workout motivation. The Body-Solid GDCC200 Functional Trainer will allow you to strengthen every part of your body for the way you want to live. Call 1-800-875-9145 to chat with one of our agents with any questions you may have about the Body-Solid GDCC200 Functional Trainer. Order your Body-Solid GDCC200 Functional Trainer from FitnessZone.com and get where you want to be. In comparison, freeweights and resistance machines can restrict movements to a single plane of motion, which is an unnatural form of movement for the body. Recent studies have shown very substantial gains and benefits in the functional training group over fixed training equipment.The Body-Solid GDCC200 Functional Trainer puts core stability within your grasp by offering a limitless variety of balance-improving, coordination-enhancing, user-defined workout regimens. From cable crossovers and shoulder presses to pull-ups, leg kickbacks and everything in between, make a motion to improve your core, build your strength and increase your endurance with the Body-Solid GDCC200 Functional Trainer. 20 independent height adjustments and 180° cable positioning for frictionless resistance in all directions. 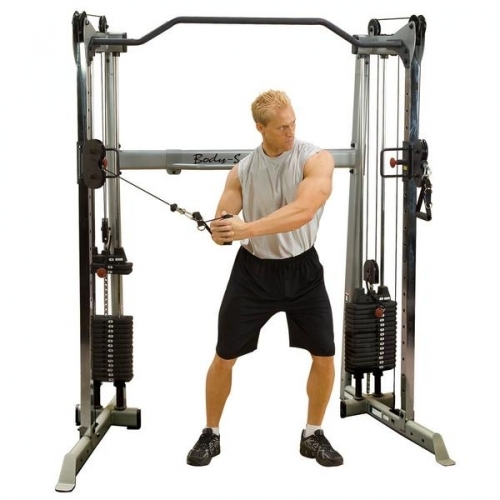 Order your Body-Solid GDCC200 Functional Trainer from FitenssZone.com today!